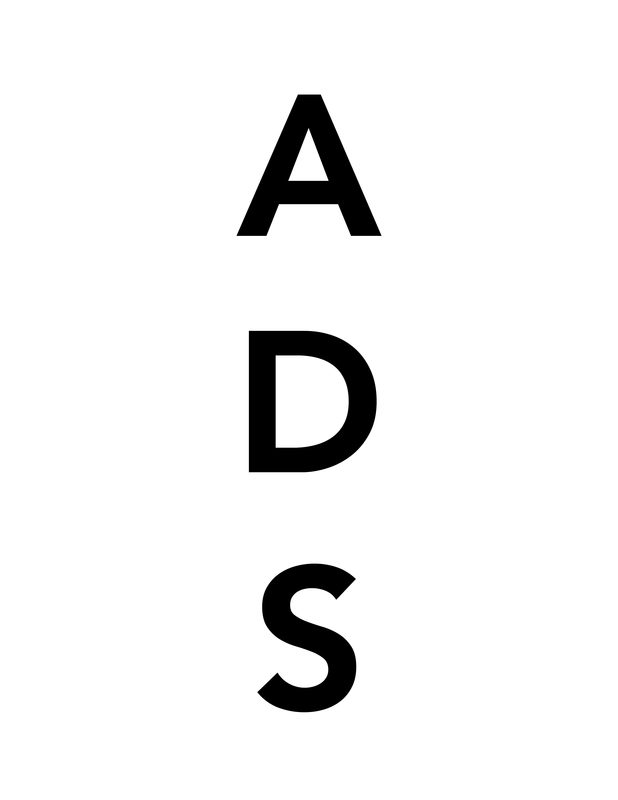 Richard Hughes, Dead Flies (2010). 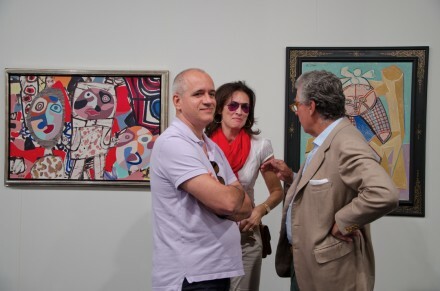 Anton Kern Gallery. 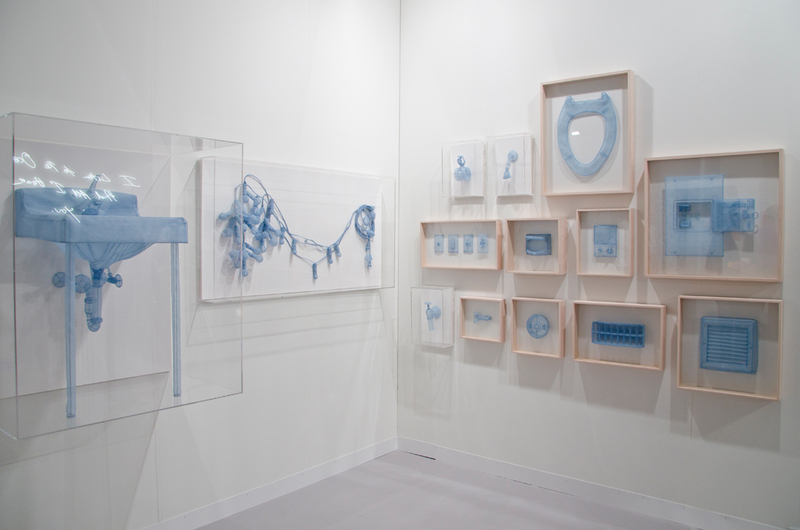 All photos on site for Art Observed by Caroline Claisse. Art Basel Miami Beach attracted some 50,000 visitors for the fair’s 10th edition this year in Miami South Beach. 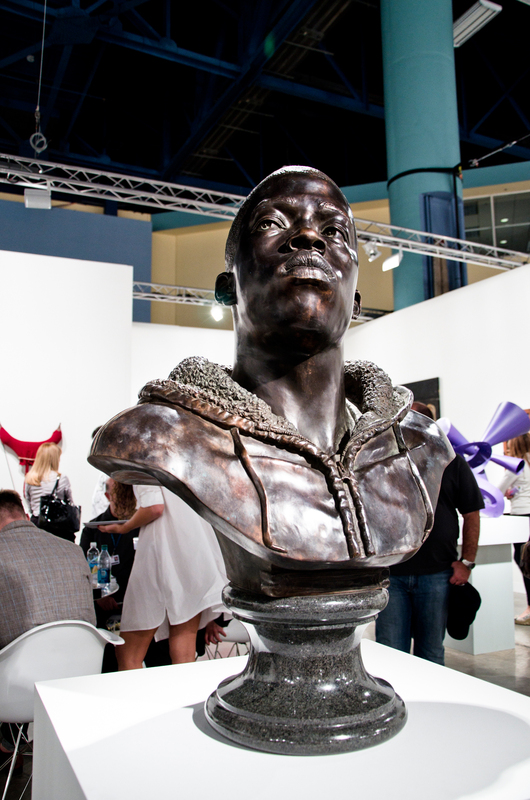 Showcasing over 2,000 artists represented by over 260 galleries, the decadent week seemed to exist outside of the current dubious economic situation worldwide. 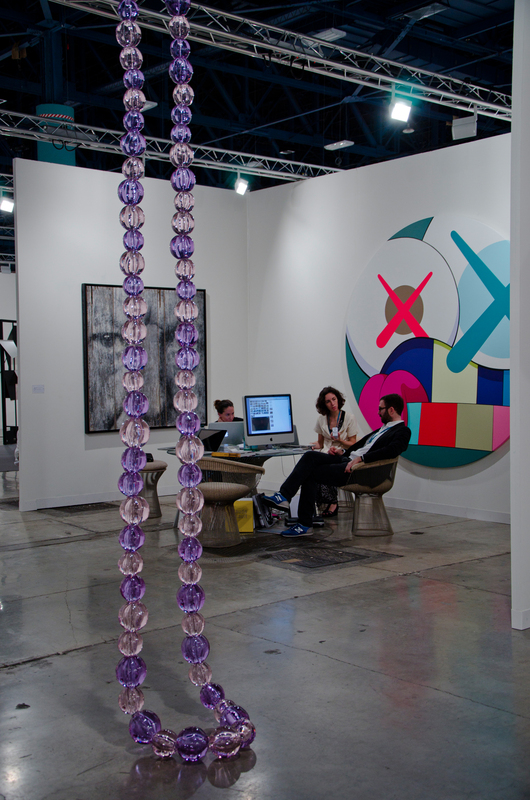 Miami Beach Convention Center hosted the main fair, housing an endless number of gallery booths, a VIP Collectors Lounge, and Art Basel Conversations throughout the week. Nearby the Bass Museum of Art opened a solo exhibition by Erwin Wurm, its front lawn, Collins Park, spotted with sculptures by artists such as Antony Gormley and Damien Hirst. Seventeen satellite fairs got in on the action as well, Art Observed focusing on NADA and OHWOW in particular, while Scope, Pulse, Design Miami, and Art Miami, among others, also drew crowds. The week would not be complete without its exhausting nightlife, exclusive events at hotels like Delano, Mondrian, Raleigh, Shelborne, Shore Club, The Standard Miami, and W, partying late into the morning hours. 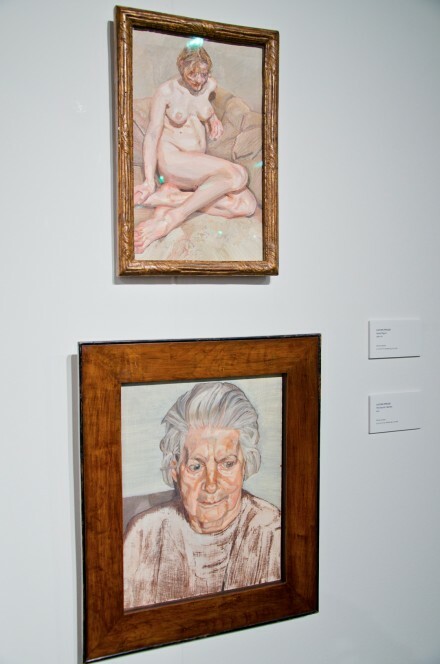 Lucian Freud, Seated Figure (1980-82); The Painter’s Mother (1972). 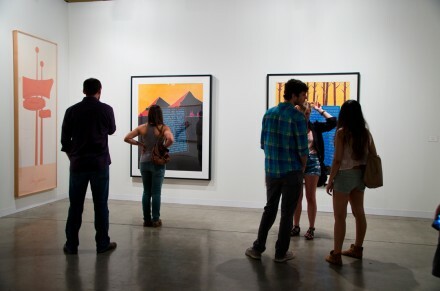 Richard Gray Gallery. While sales typically come in waves strongest toward the beginning of the fair—as more sight-seeing families roll in toward Saturday—galleries commented on the consistency of sales throughout the week this year. A representative at Helly Nahmad Gallery stated, “The market is very solid,” and Joni Weyl of Gemini G.E.L. 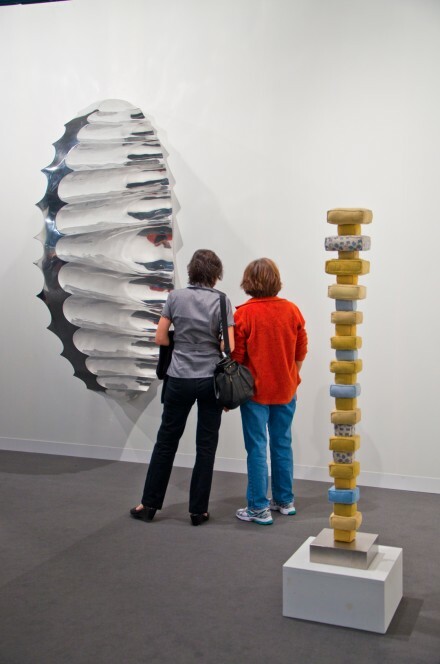 was pleased by the “healthy spontaneity of purchase.” Both old and new clients arrived at the fair, informed and seemingly tired of not buying. 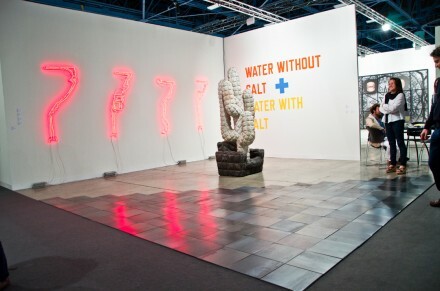 Works in all mediums sold well, be it Tracy Emin‘s neon light sculpture (which went to Sean Combs/P. 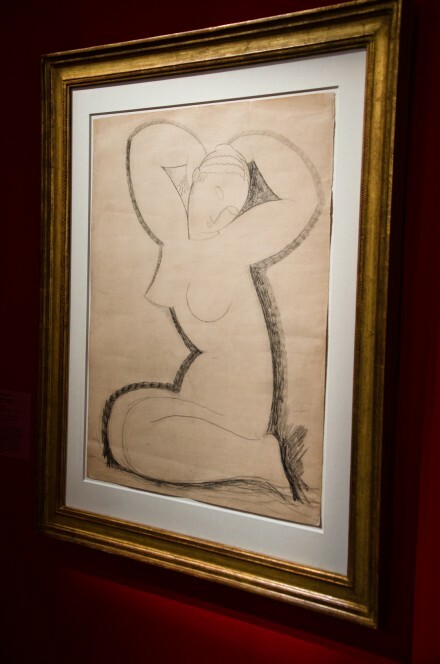 Diddy, retailing at £60,000), a Murakami painting for $600,000 at Galerie Perrotin, as well as older works like Picassos, Calders, or Basquiats at Helly Nahmad. Neo Rauch, Die Jaegerin (2011). 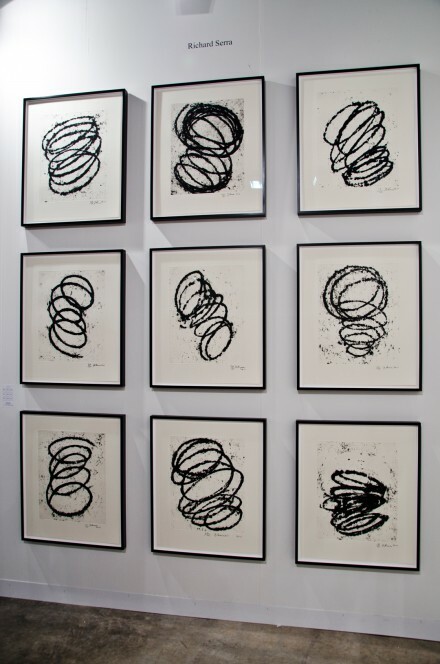 Galerie Eigen+Art. David Zwirner sold well across the board, from Minimalist works to much fresher ones, moving Flavins and McCrackens, and entirely selling out Carol Bove. 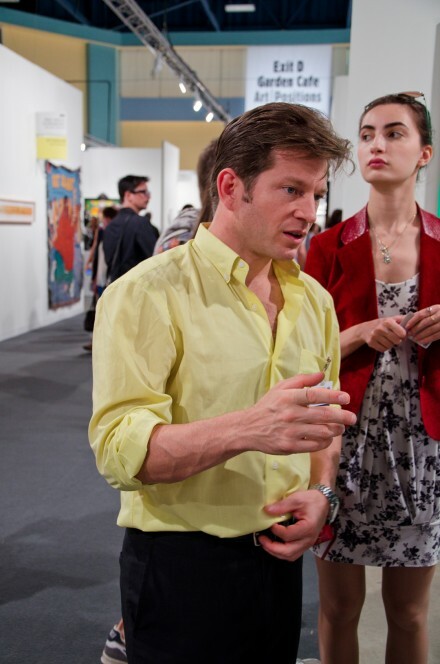 The large Neo Rauch painting remained unspoken for late Saturday afternoon despite the artist’s concurrent show in New York. 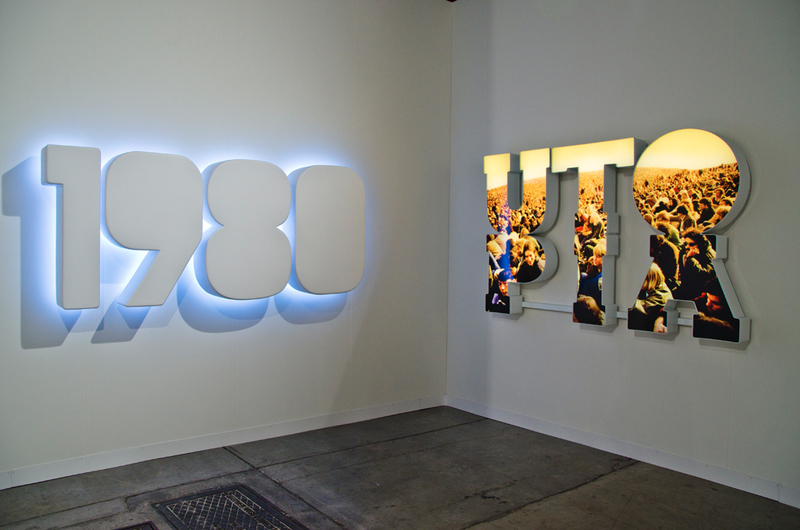 According to the representative, the gallery’s art fair presence and actual exhibitions are two different programs with little concrete influence on each other. 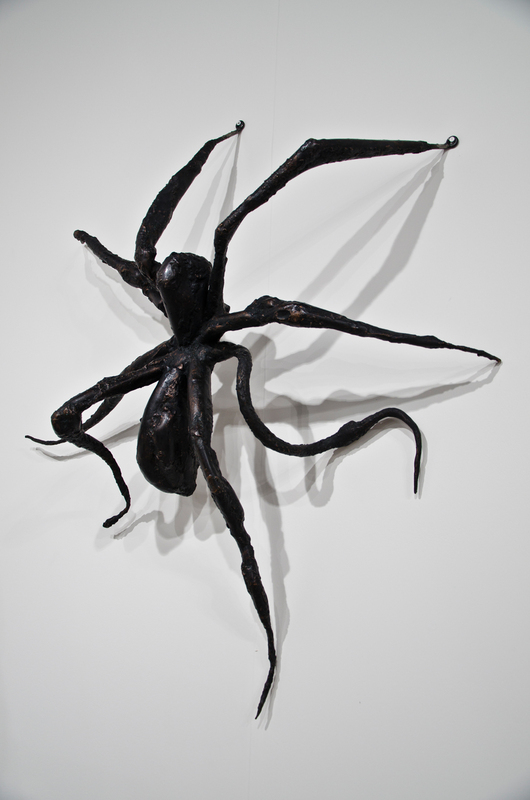 Rauch’s aeruginous bronze sculpture, Die Jägerin, currently showing at Zwirner in New York, had another one of its three editions showing across the convention center at Galeria Elgen + Art on reserve for $850,000. 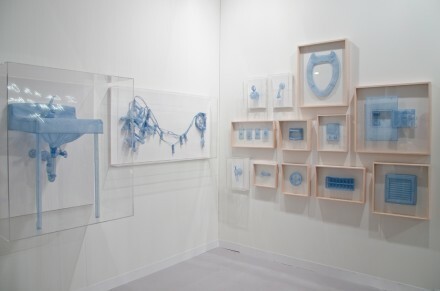 Do Ho Suh, Specimen Series New York City – Apartment 1 (2011). Lehmann Maupin. Huma Bhabha, Ghost of Humankindness (2011), left. Marilyn Minter, Lil’Mercury (2011), right. Salon 94. 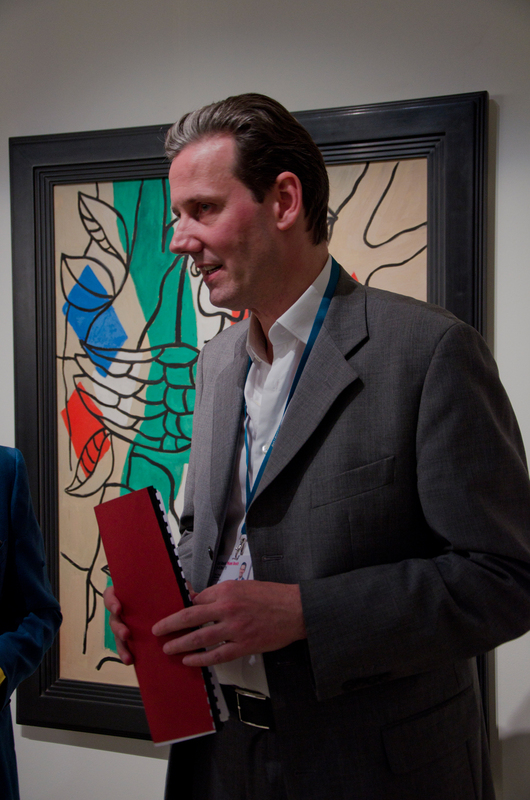 While Zwirner and White Cube were unable to release any sales figures, Lehmann Maupin informed AO of price ranges. 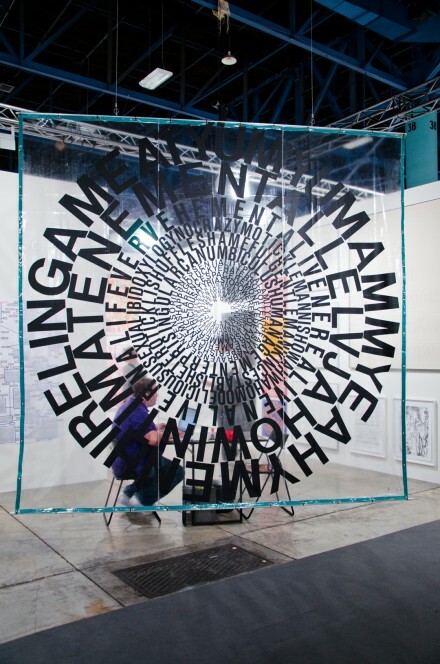 Aside from Emin, mentioned above, Teresita Fernandez sold well, anywhere between $15,000 to $200,000; Mickalene Thomas works were in the $50,000; Do Ho Suh’s single piece, Specimen Series: New York City Apartment, went for between $200,000–300,000. 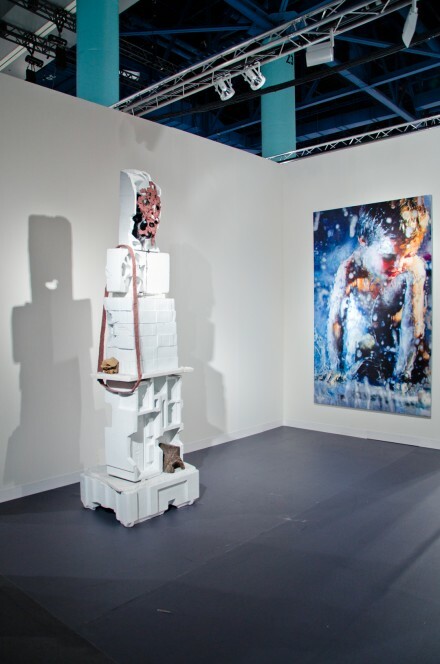 Salon 94, typically selling mid-career artists, sold several large works by Lorna Simpson around $65,000, and works by Marilyn Minter in the $300,000 range. 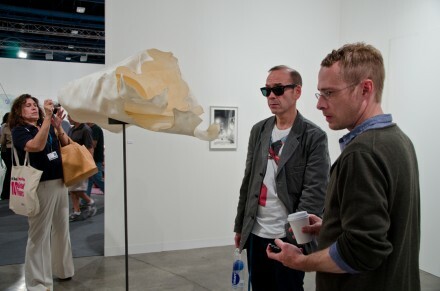 Marc Jancou at his booth. 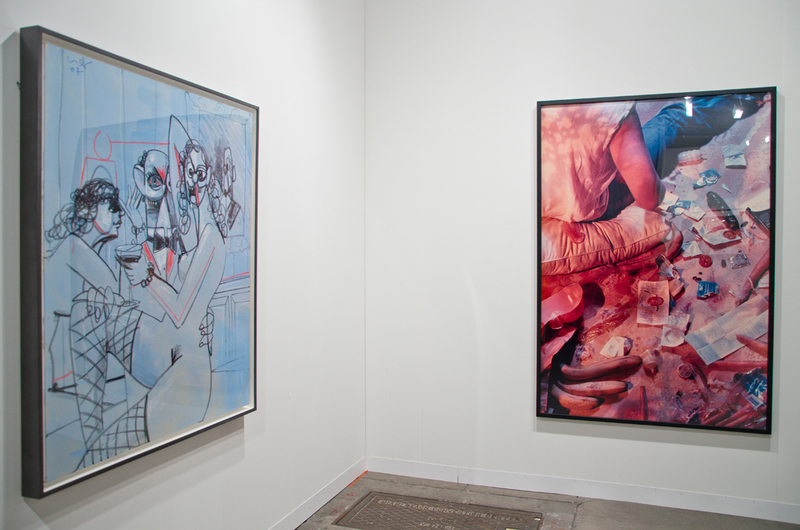 Installation view of Larry Johnson at Marc Jancou gallery. Rosa Knight, Skin to Weight (2011) with Gallery Owner José Freire. Team Gallery. Galleries of course not only hope to sell works at the fair, but build relationships with new and old clients, as well as promote new art. 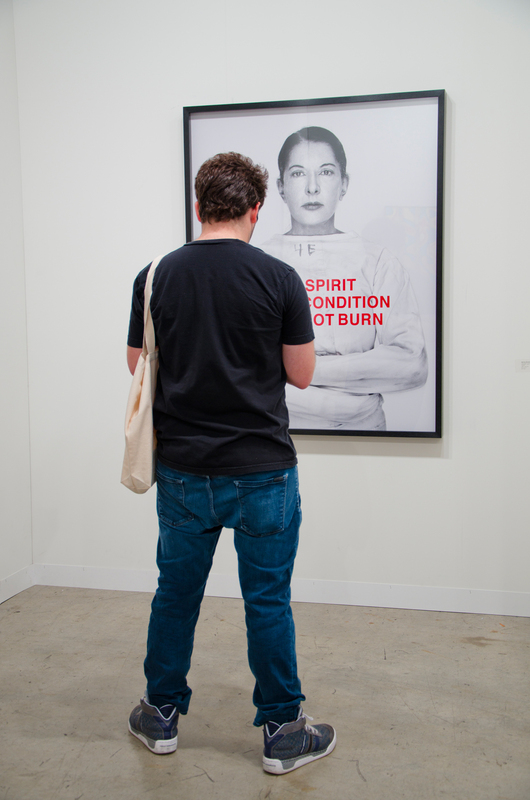 Team Gallery highlighted new works by Ryan McGinley, hoping to catch the eye of those who already buy his work. 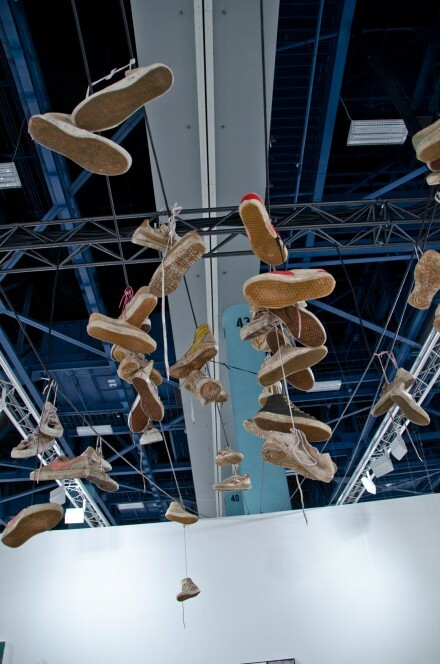 Anton Kern was excited to showcase the new direction in painting of artist Ellen Birkenblad, while nostalgic cast resin shoes hung over head by Richard Hughes. 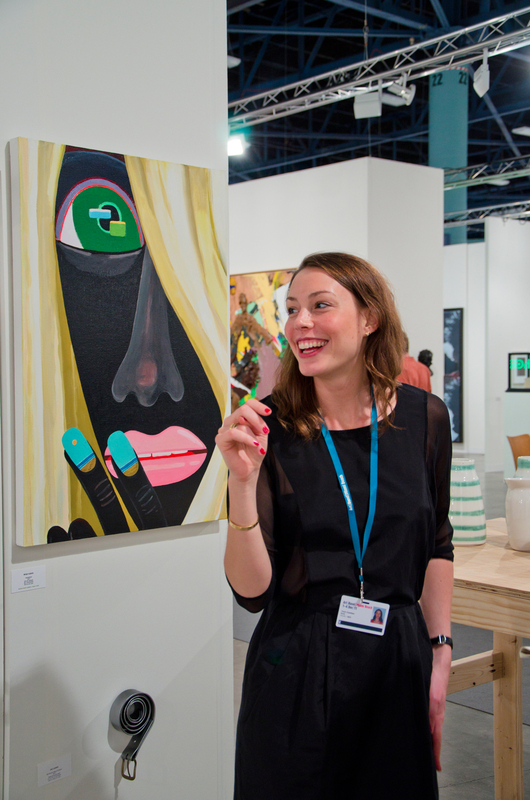 Courtney Treut of Anton Kern Gallery. 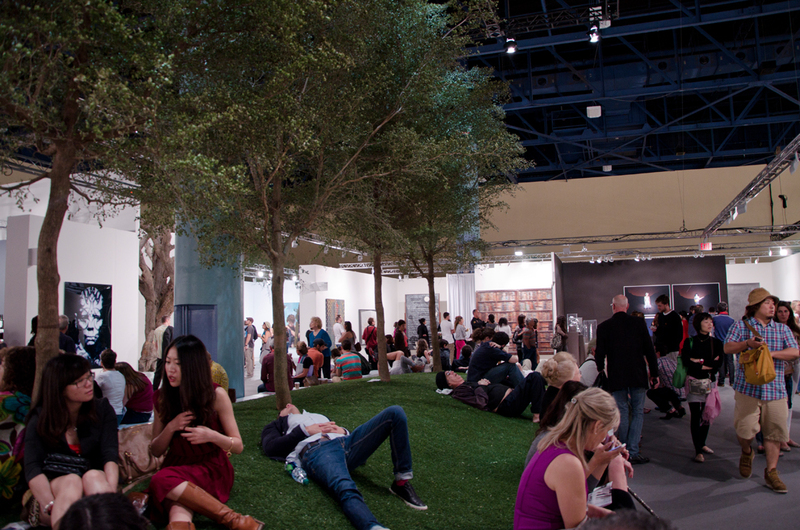 In 2011, 10 years after the first Miami fair, Art Basel Miami Beach has grown into one of the largest art fairs in the world. Attracting tabloid fodder celebrities and art world powers alike such as Jeffrey Deitch and Eli Broad, James Murphy and P.Diddy, as well as a fleet of press and other art enthusiasts. Though the influx of visitors seems to stress the city transportation infrastructure to some point of systematic failure at times, the fair has made Miami a global destination, if not only for this one week. Located in a more central location between Europe and the rising South American nations, the palm tree lined city bridges the gap between old and new in many ways. 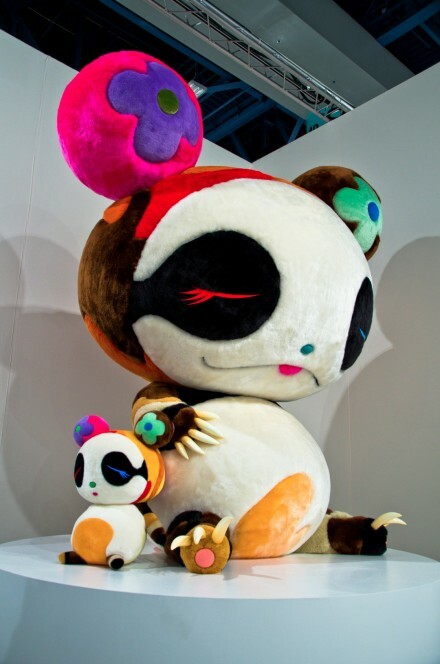 Takashi Murakami, Panda Geant (2009). Emmanuel Perrotin. 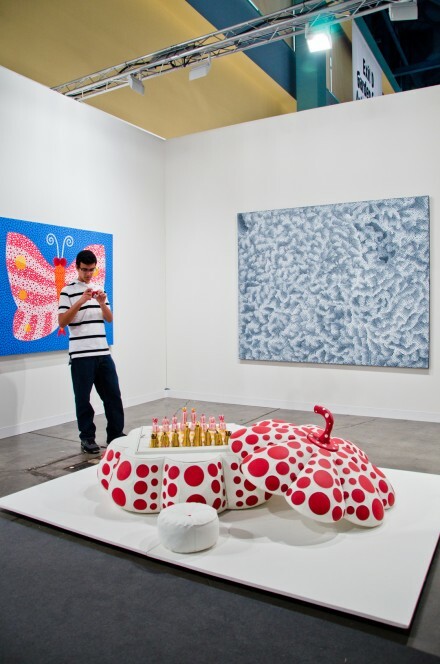 Yayoi Kusama, Infinity-Nets Khn (2011), back right; A butterfly Achno (2011), back left; Pumpkin Chess Set (2003). 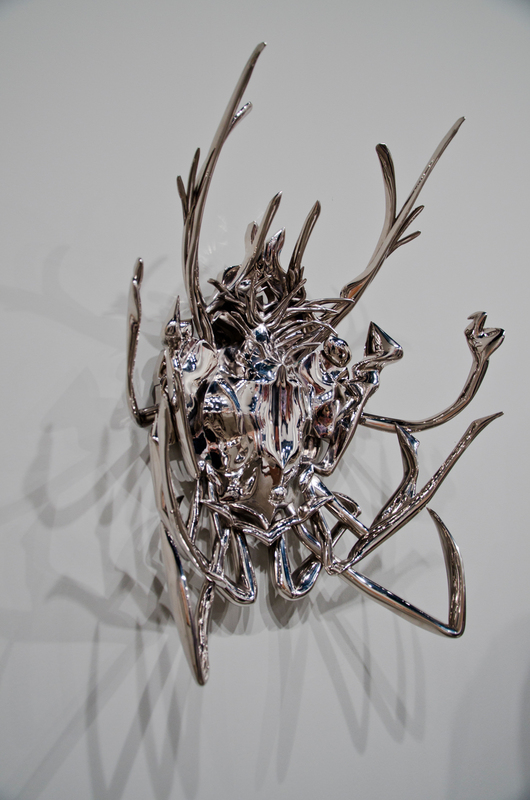 Victoria Miro Gallery. 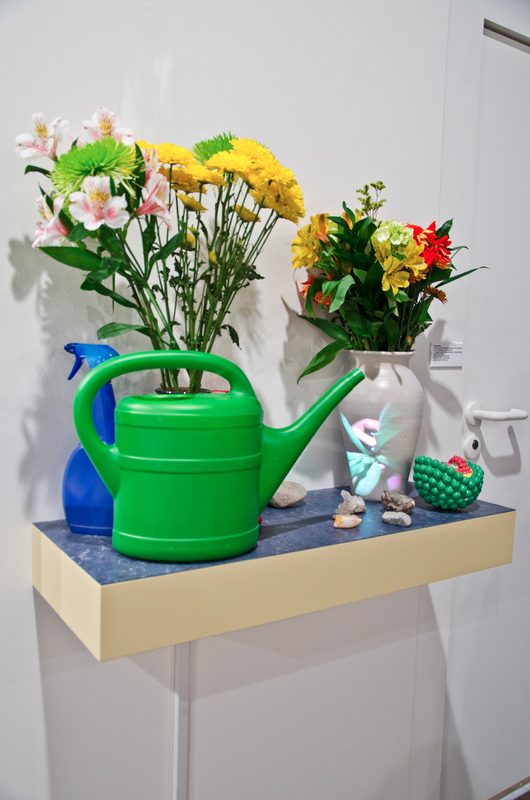 Ryan Gander, Say no, if you can. 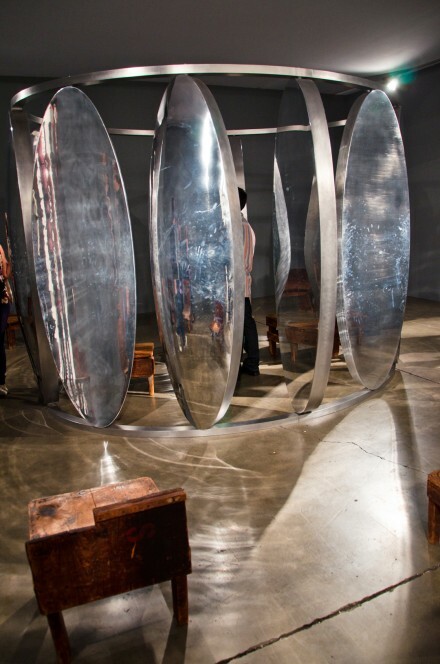 Say no, no, 1996 by Santo Sterne (2011). 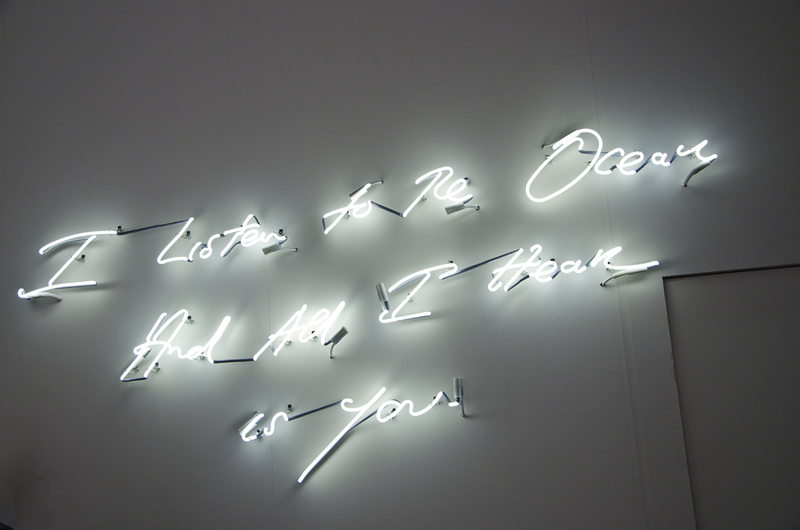 Lisson Gallery. 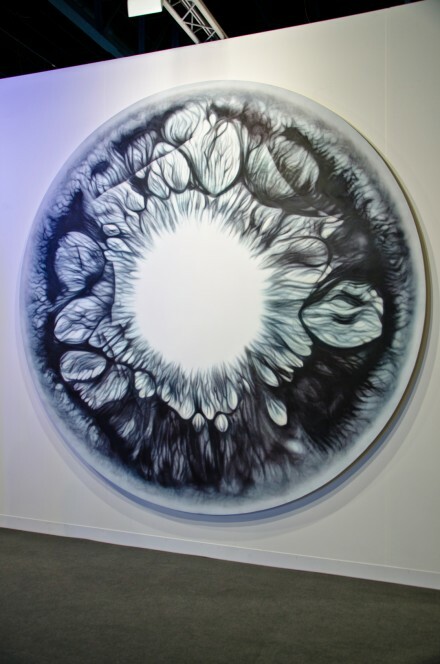 Olaf Nicolai, Black Pearl Curtain (2010). 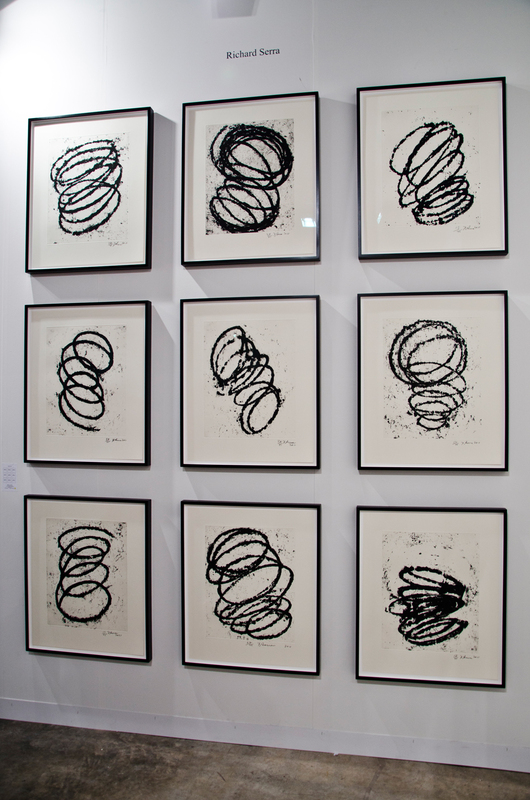 Galerie Eigen+Art. Ronnie Cutrone, Quick Change Artist (panel 3) (2004). Galerie Gmurzynska. Rodney Graham, Betula Pendula ‘Fastigiata’ (Sous-Chef on Smoke-Break) (2011), back; Ai Weiwei, Watermelon (2006). 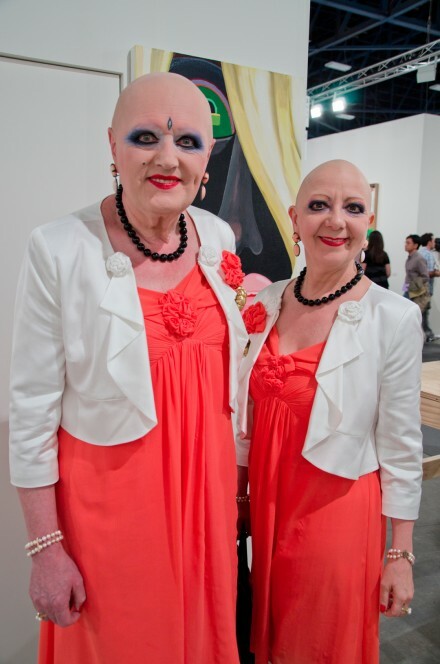 Lisson Gallery. Robert Peter Miller Jr., of the Robert Miller Gallery. Louise Bourgeois, Spider 1 (1995). 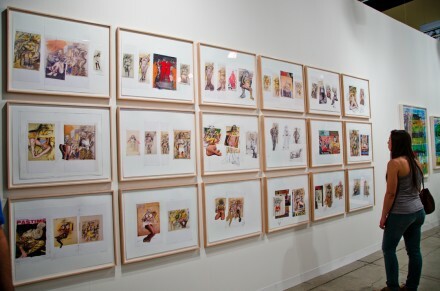 Robert Miller Gallery. Robert Longo, Untitled (Iceman – XL) (2009). Metro Pictures. 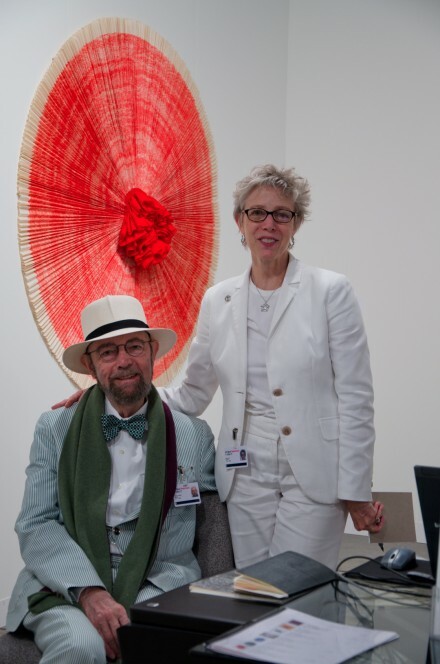 Joni Weyl and colleague at Gemini G.E.L. Richard Serra, Bight #1-#9 (2011). Gemini G.E.L. 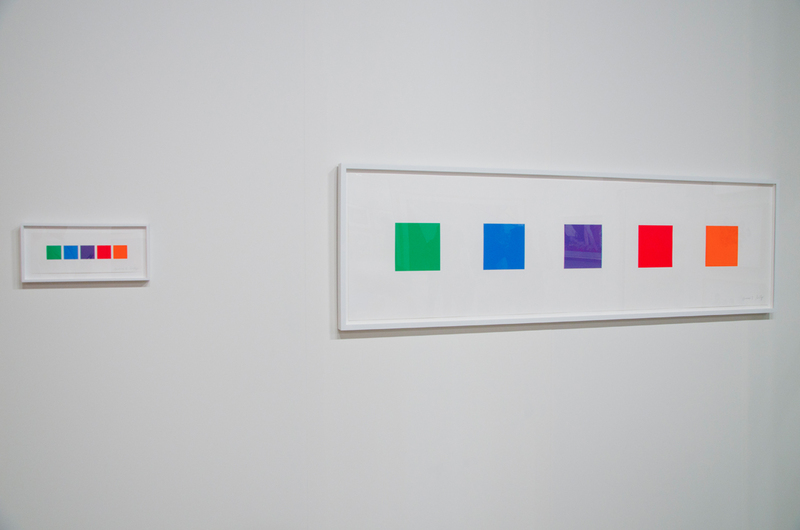 Ellsworth Kelly, Spectrum V & Spectrum II (2011). Gemini G.E.L. 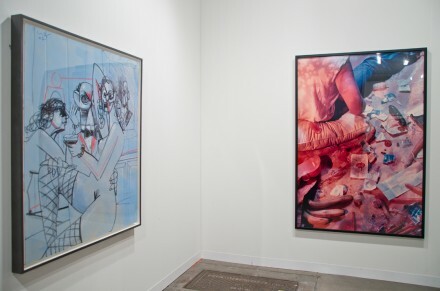 Prints of James Rosenquist and Roy Lichtenstein at Gemini G.E.L. Rafael Lozano-Hemmer, Shadow Box#5: The Year’s Midnight (2011). 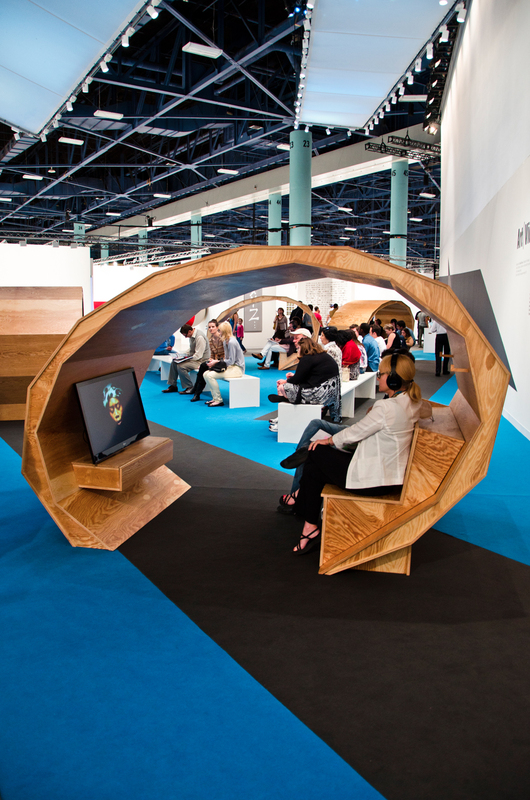 Galeria OMR. 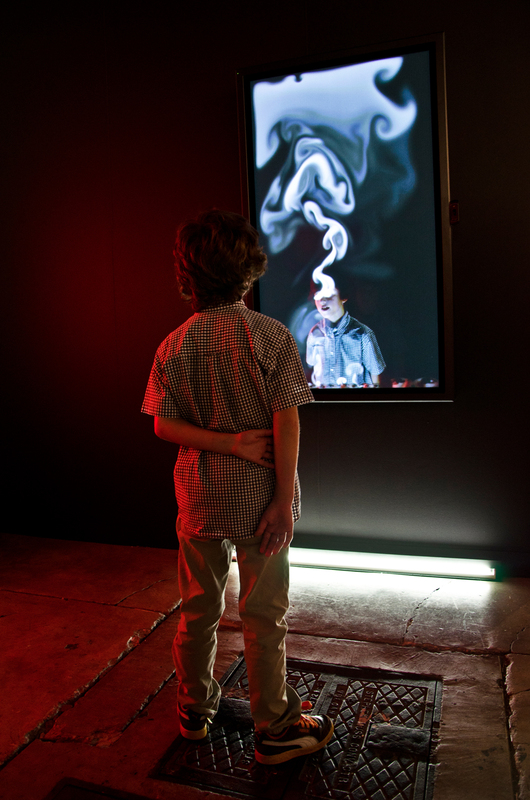 Pipilotti Rist, Sparking of the Domesticated Synapses (2010). Luhring Augustine. 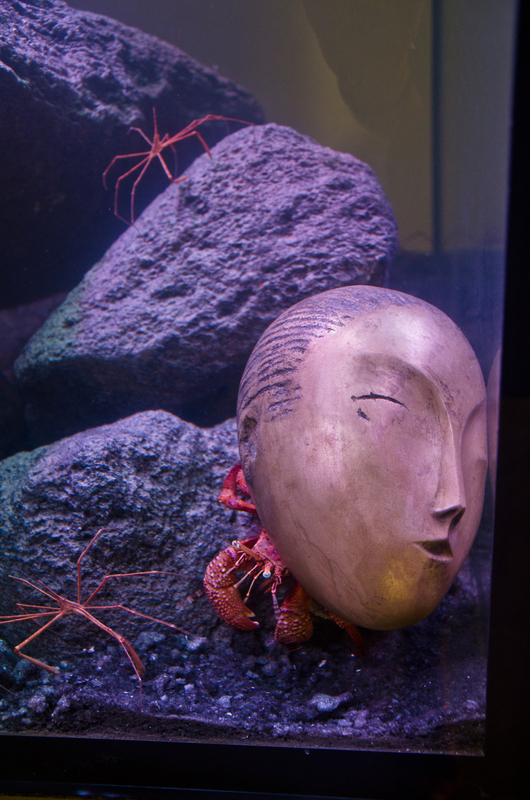 Pierre Huyghe, Zoodram 5 (2010). 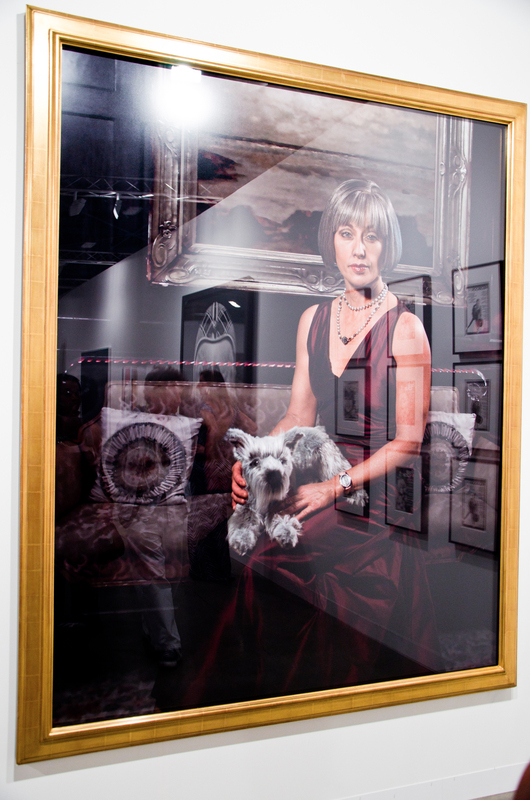 Marian Goodman Gallery. 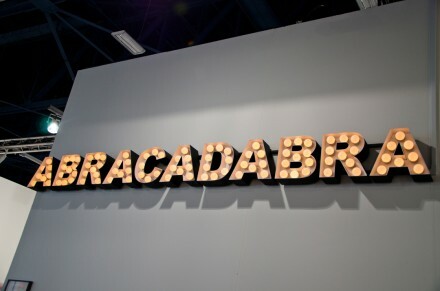 Peter Liversidge, Abracadabra (2011). Sean Kelly Gallery. 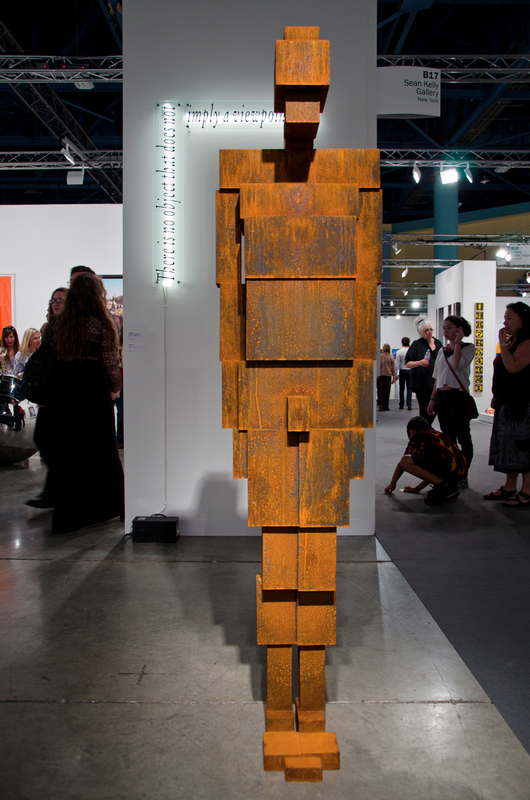 Antony Gormley, Block (2010). Sean Kelly Gallery. Kehinde Wiley, Morthyn Brito (2011). 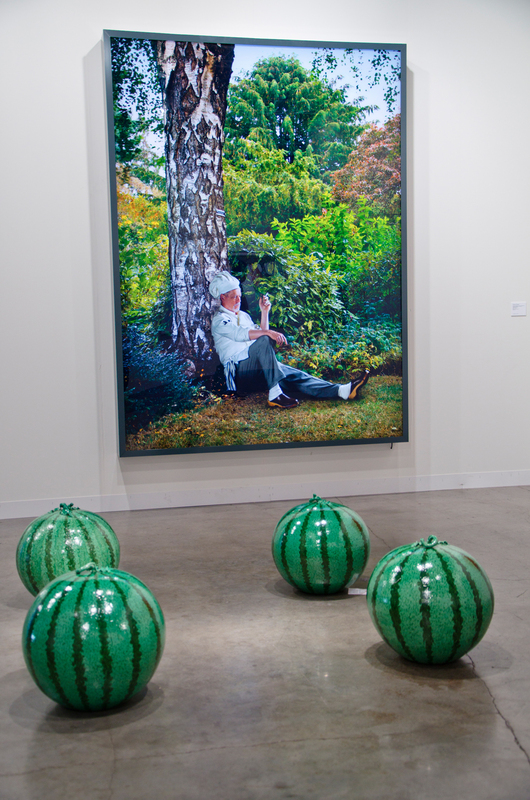 Sean Kelly Gallery. Petah Coyne, Untitled #1176 (Elisabeth, Elizabeth) (2007-2010). 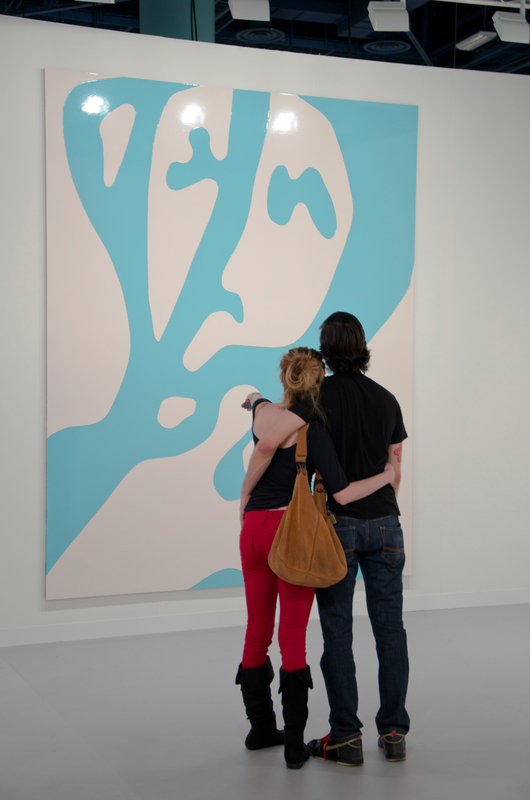 Galerie Lelong. Modigliani Amedeo, Cariatide (1913). Galerie Thomas. Marina Abramović, The Spirit in Any Condition Does Not Burn (2011). Luciana Brito. Marc Quinn, X-ray Eye (MQ290R) (2011). White Cube. Louise Bourgeois, The Miror (1998); Untitled (Calme Toi) (2000). Galerie Karsten Greve. Lisa Yuskavage, Sunset (2007). 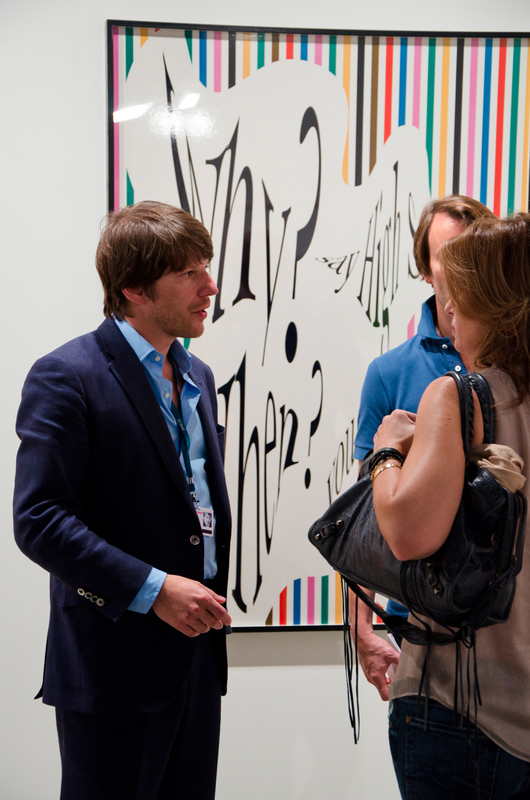 David Zwirner. 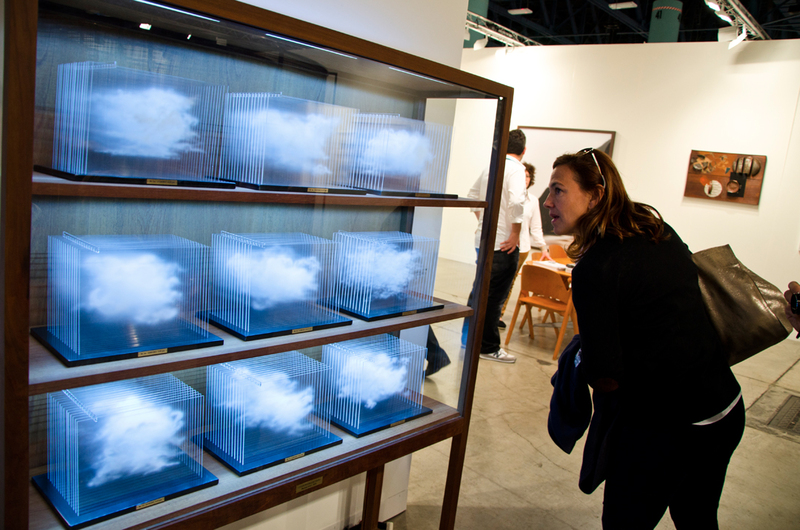 Leandro Erlich, La Vitrina_Cloud Collection (2011). Luciana Brito. E.V. 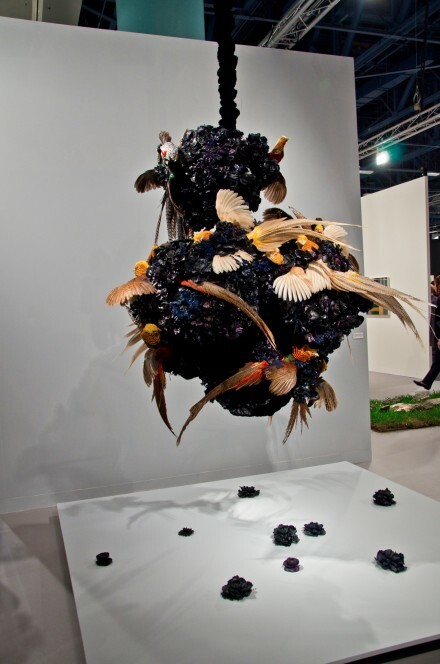 Day, Pollinator (2011). 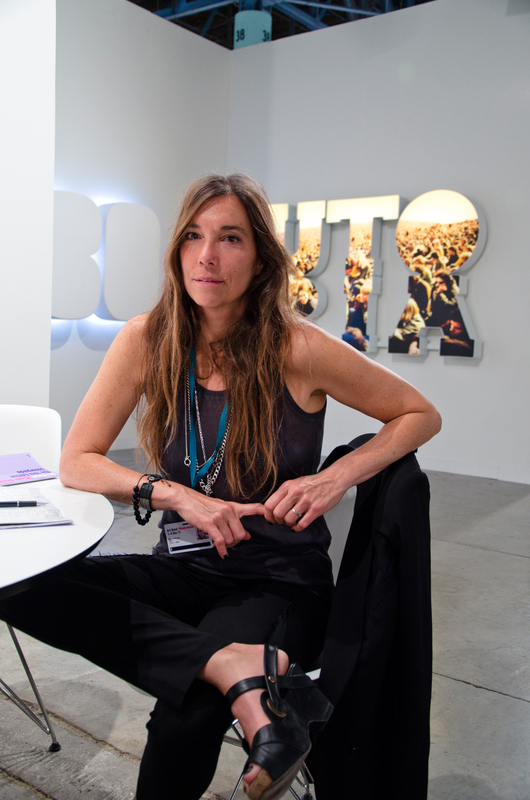 Carolina Nitsch. Jean-Michel Othoniel, Untitled (pink and alessandrita necklace) (2011). Galerie Emmanuel Perrotin. 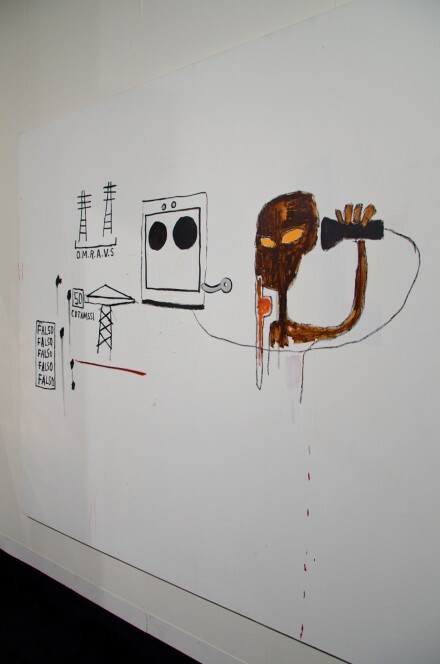 Jean Michel Basquiat, O.M.R.A.V.S (1984). 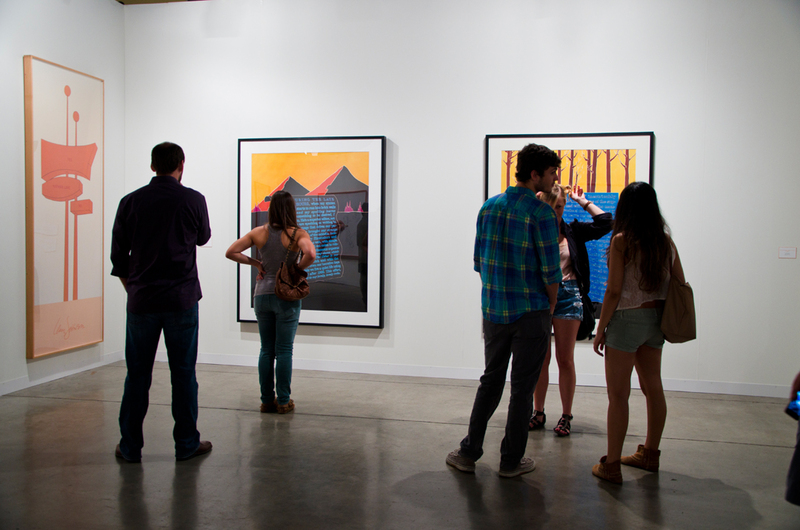 Helly Nahmad Gallery. 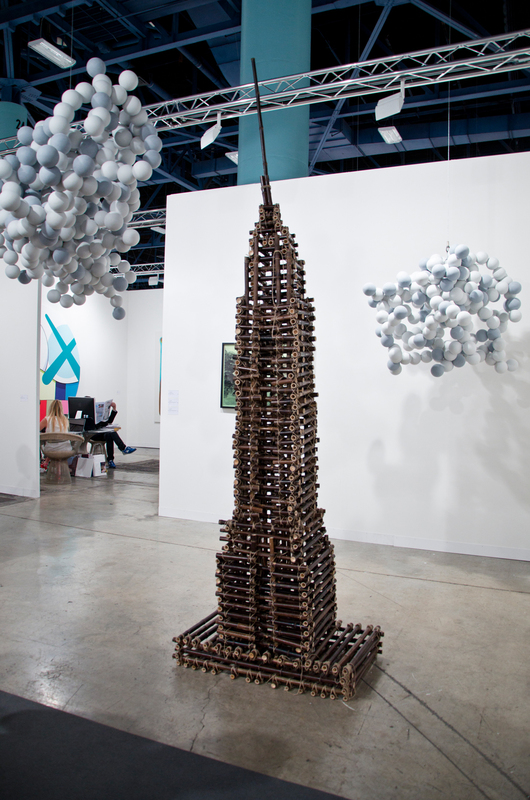 Ivan Argote, Empowerment structure (2011). Galerie Emmanuel Perrotin. George Condo, Rodrigo at the Bar (2007); Cindy Sherman, Untitled #179 (1987). Sprüth Magers. Gary Hume, Large Angel Head (blue and white) (1999). 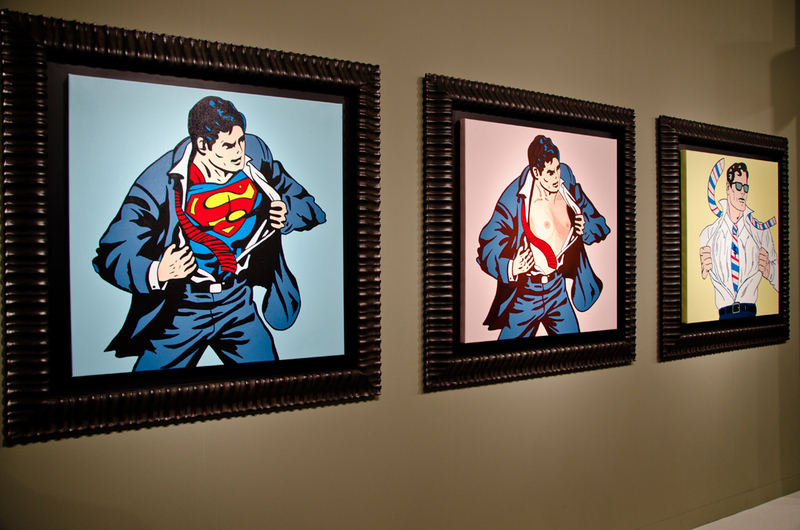 Matthew Marks Gallery. 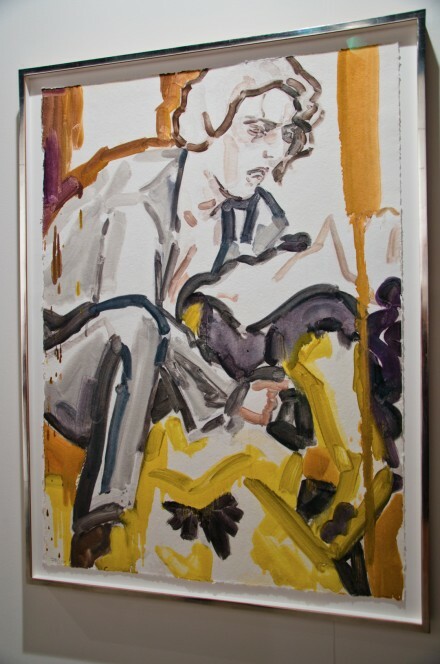 Elizabeth Peyton, Carmen 3 (2011). Two Palms. 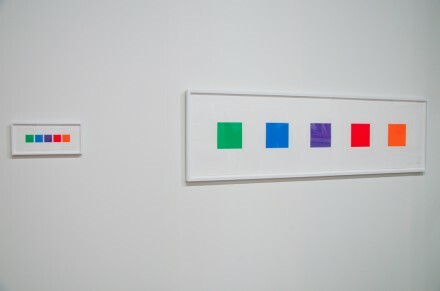 Richard Prince, Together (2008-11). Two Palms. 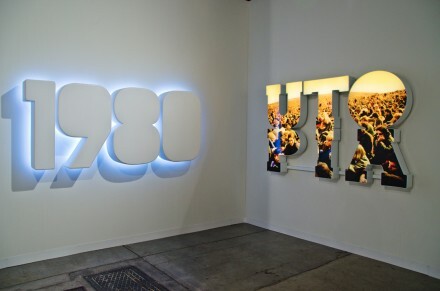 Doug Aitken, 1980 & Utopia (Altamont Motor Speedway) (2011). 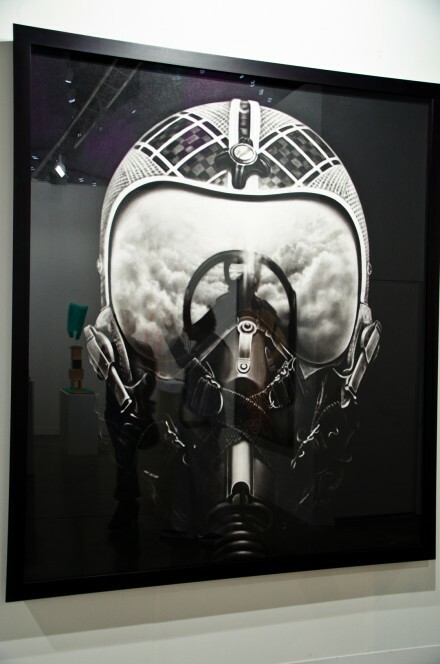 303 Gallery. Tracey Emin, I listen to the ocean and all I hear is you (2011). Lehmann Maupin. Cindy Sherman, Untitled (2008). Metro Pictures. 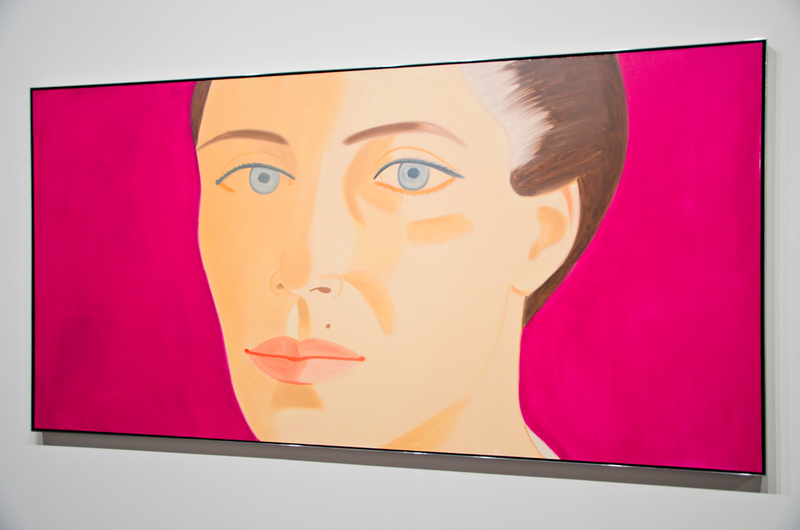 Alex Katz, Kyra (2006). Richard Gray Gallery. 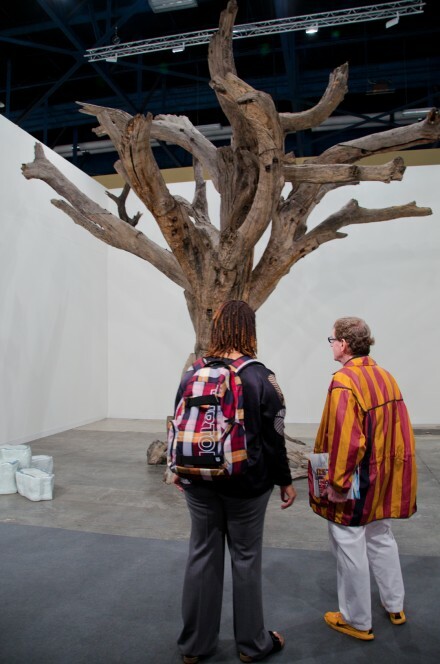 Ai Weiwei, Tree #11 (in wood) and Rock (in porcelain) (2009-2010). Galerie Urs Meile. KRIWET, Text Dia (1970). BQ. 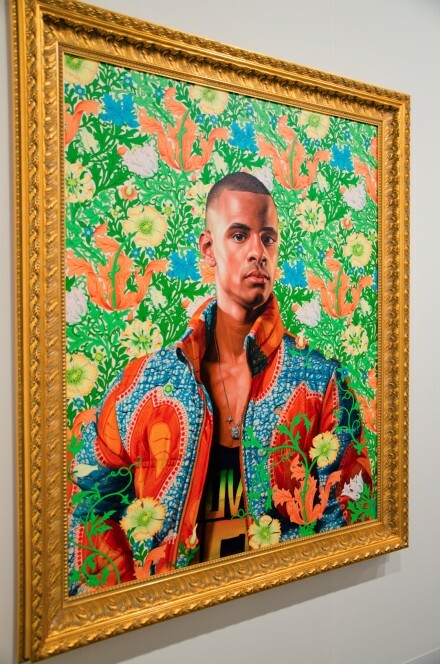 Kehinde Wiley, Houdon Paul-Louis (2011). Roberts & Tilton. 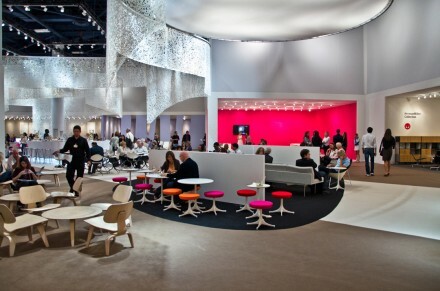 VIP Art Collectors Lounge, furnished by Herman Miller. 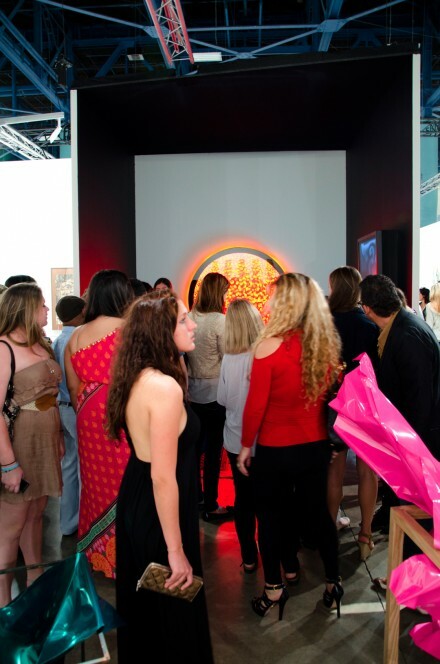 This entry was posted on Tuesday, December 6th, 2011 at 9:13 am	and is filed under AO On Site, Art Fair, Art News, Events. You can follow any responses to this entry through the RSS 2.0 feed. You can leave a response, or trackback from your own site.